Flutists from across Oregon and Southwest Washington gather Saturday, April 13, in Oregon City for the annual Flute Fair. The one-day event at Clackamas Community College offers workshops, performances and master classes for flutists of all levels and ages - from students to professionals to adult amateurs. Presented by the Greater Portland Flute Society, fair vendors from throughout the U.S. will showcase a variety of flutes, from bass flutes to piccolos, as well as sheet music, books, accessories and other flute-related merchandise. 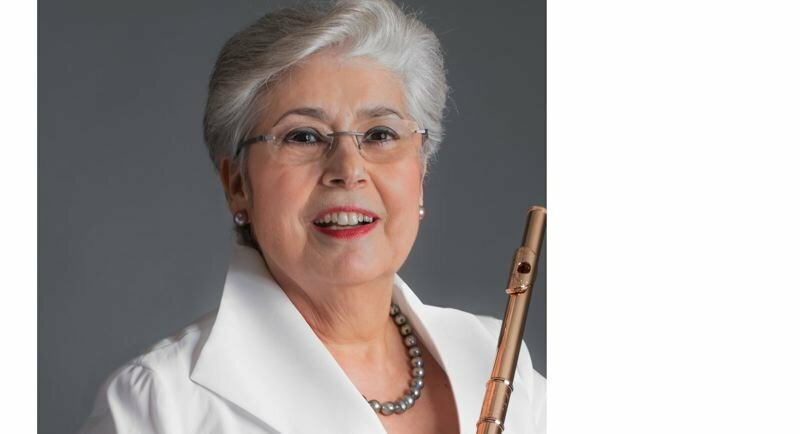 Trudy Kane, associate professor at the University of Miami's Frost School of Music, is the flute society's guest artist this year. Kane spent 32 years as principal flute with the New York Metropolitan Opera, where she performed with many celebrated artists such as Placido Domingo, Luciano Pavarotti and Renee Fleming. Kane, who holds bachelor and master degrees from the Julliard School of Music, is active in the commercial recording field and can be heard on the soundtracks of many film scores. At the Flute Fair, Kane will lead a career-focused morning workshop, and hold open master classes for pre-selected students in the afternoon. The event runs from 9 a.m. to 4 p.m. at the college's Gregory Forum and Niemeyer Center, 19600 Molalla Ave., Oregon City. Open to the public, all-day admission is $10 per person. Food and beverages are available. Additionally, Kane performs Friday, April 12, at 7:30 p.m. at Portland State University's Lincoln Recital Hall, 1620 S.W. Park Ave. The concert is open to the public. General admission is $15. A public reception sponsored by the flute society immediately follows Kane's Friday performance. For more details about Flute Fair workshops, performances and other programs, go to gpfs.org.